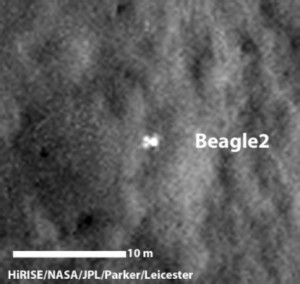 Beagle 2 was a low-cost, small-scale and minimalist British spacecraft. It had, however, audacious goals to directly search for life. Colin Pillinger was its Principle Investigator. 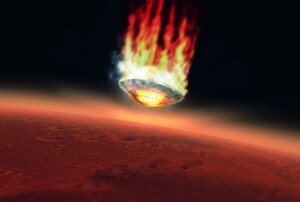 After piggybacking across tens of millions of miles of empty space, the craft had detached from its mother ship, the European Space Agency’s (ESA) Mars Express, on 19th December 2003 where it would fall towards Mars on a relentless ballistic trajectory. HMS Beagle was the ship that took Darwin on his voyage around the world in the 1830s and led to our knowledge about life on Earth making a real quantum leap. We hope Beagle 2 will do the same thing for life on Mars. My own relationship with him in the Beagle years was stormy … Fitting the much bigger Mars Express project, as I had to, around Colin’s far from standard approach was not easy and he could be very exasperating. Nonetheless, he had genius, a very British genius.. He was a determined and controversial figure. I crossed swords with him more than once in the 35 years I have known him. But he was enthusiastic, inspirational and never failing in his drive to promote planetary sciences and the science that would come from missions to the moon and Mars. He was one of the most influential people in my life. There were recommendations that covered accountability, and adequate resourcing. Others mentioned the need for appropriate systems level documentation and robust margins to cope with the inherent uncertainties of space flight. There was also an underlying assumption that Beagle 2 had failed catastrophically. So many of the recommendations covered testing of all kinds, and especially the shocks and processes around entry and landing. 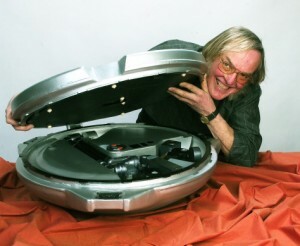 Colin Pillinger continued to display his usual spirit after the report. He said shortly after publication “It isn’t over with Beagle by any means.” He continued to push for another landing attempt, but unsuccessfully. Then tragically, after a period of ill health, he died unexpectedly of a brain hemorrhage, just two days before his 71st birthday at Addenbrooke’s Hospital in Cambridge on 7 May 2014. The images demonstrated the probed had properly landed and partially deployed, with its parachute and back cover nearby. Some of the solar panel petals had deployed, but not all, preventing deployment of its radio antenna. Beagle 2 appeared to have just a few mechanical movements and one faulty motor from success. One newspaper claimed: The history books must be re-written to show that the Beagle 2 mission was a success after the first pictures of the probe proved that it did land safely on Mars, vindicating lead scientist Colin Pillinger. Beagle 2 was much more of a success than we previously knew. The history books need to be slightly rewritten to say that Beagle 2 did land on Christmas Day 2003.